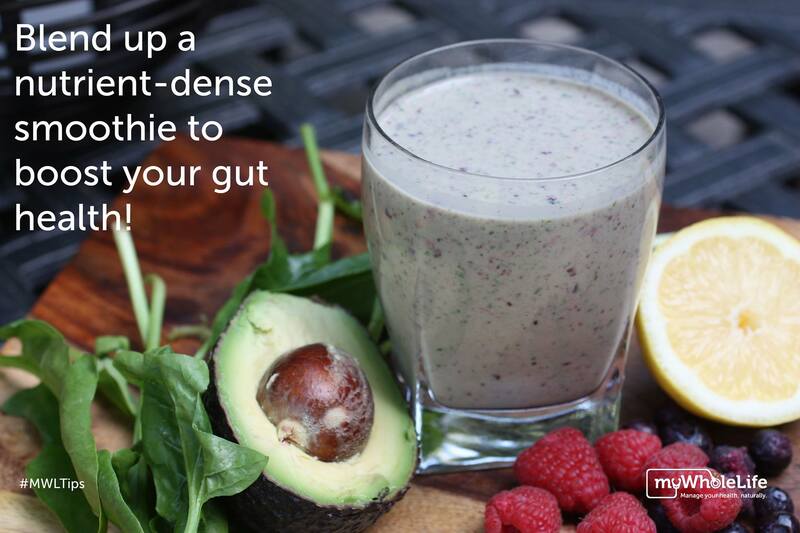 Whether you have IBS or simply want to optimize your energy and health with a nutrient packed smoothie, the following recipe is for you! Start with half a cup of unsweetened, organic kefir for the probiotic, magnesium and calcium contents. Then add one quarter of an avocado, for the gut-healing essential fatty acid benefits and spinach for a healthy dose of antioxidants and soluble fibre. Next, throw in a handful of berries because they contain pectin which is soothing to the digestive system and vitamin C which is healing. Then add lemon to help detoxify your liver and get your digestive juices flowing for the day. And finally, add a fingertip sized slice of ginger for its anti-nausea and digestive stimulating plus soothing properties.